Well since the 2012 stock navigation is not up to date hard to see etc. 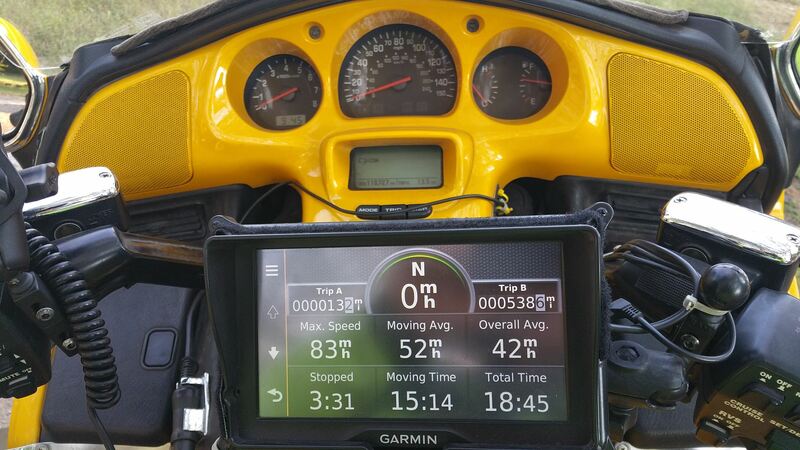 What's every one running most guys I talk to are running the add on Garmin on a handle bar mount a new Indian rider I met has the built in 7 inch loves it been looking but is a 7 inch necessary or a 5 inch work as not to block the dash area. What's up ? I will take the Garmin over that POS nav unit any day, it is useless, can't see it, no turn by turn. it is dangerous, you have to take your eyes off the road to look down and stare at it long enough to figure out what is up. I use the Garmin 7 inch mounted between handlebars in center, no issues with blockage and with my eyesight I really appreciate the extra screen size of the 7 inch. If we decide we can ride this year I want to make a mount between the bars like you made John. Will probably make some other type of mount than a ram ball. Grandson has a neat mount for his GPS in his truck. It just sits in a couple of fingers and has a grasping finger at the top. Should not be too hard to make out of rod stock or flat stock. the only movement I think we would want would be the ability to tip it up to avoid the reflection of our Hi-Vis gear. A rain and glare shield should not be too hard. We put black plastic tape over the speaker and every seam on our GPS. Has kept the water out of it so far. I went with an EZ-GPS mount. Mounts to the windshield vent and hold the GPS in your normal line-of-sight. There is a little vibration while riding, but not as much as you would think. Makes it much easier to look at and/or play with while you're riding since you don't have to look down or left/right.